Own a piece of Winnipeg. The Glasshouse has become a landmark in downtown Winnipeg offering the best in modern design and front door convenience. 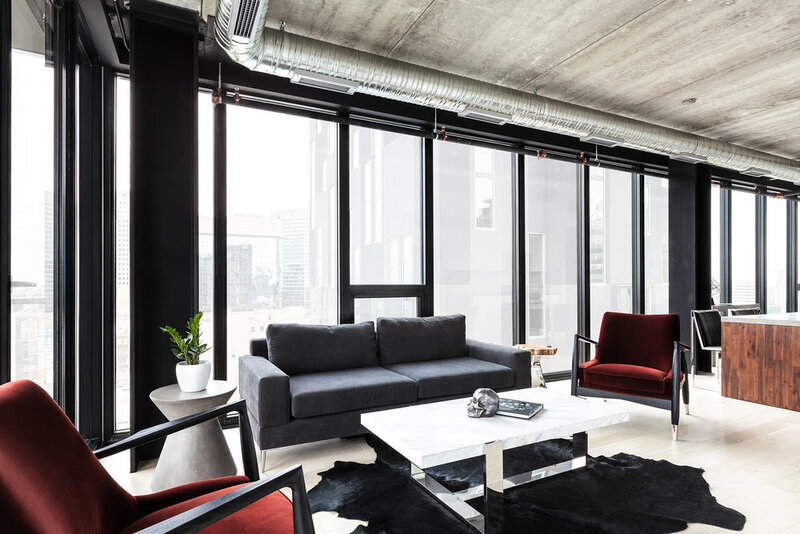 The interior of the suites offer beautiful modern kitchens with full sized appliances, hardwood flooring throughout, open concept layouts and floor to ceiling windows offering views that cannot be beat. Our amenities include a rooftop terrace with barbecues, indoor rooftop lounge with kitchen and bar, lounge seating and pool table, a fully equipped gym and private theatre room. We also have a secure entrance, executive concierge service and indoor access to the ALT hotel, Merchant Kitchen and Brown's SocialHouse. Whether you are an investor looking for an income property or a buyer looking for your new home, contact our team today to learn more about the great selection of units available.